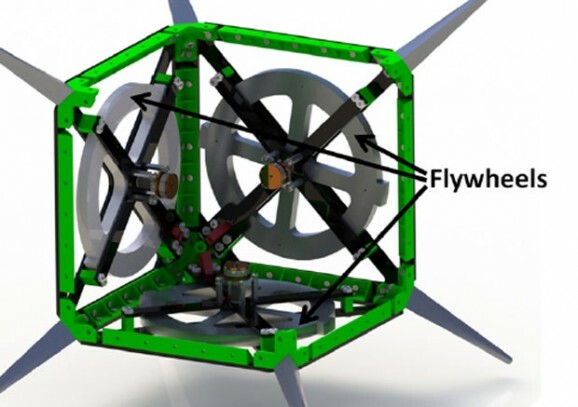 As NASA debates whether to send more people to the moon, as well as whether, how, and when to try a manned mission to Mars, it has decided to fund a new kind of robot for space exploration: tumbling cubes. Self-assembling robots aren’t a new idea, and engineers have already developed a number of different kinds, from robots that assemble in mid-air to small cubes that can assemble on the ground. It’s a brilliant idea, if you think about it. Rovers are all well and good, but they do have certain limitations, largely because of their wheeled transportation system and their size. Curiosity works on Mars because there’s gravity there — even at 1/3rd of Earth’s gravity, there’s enough force keeping Curiosity on the ground. But if we land on an asteroid, for example, it would be pretty tough to move around — anyone who’s seen Gravity knows that either starting or stopping movement in zero or microgravity requires a source of energy and probably a lot of luck. Robotic tumbling cubes would solve the problem. Cubes, such as Cubli (below), are driven entirely from within. They can balance, even on a corner, and their internal mechanisms adjust their angular velocity, keeping it close to zero. They use reaction torques, or reaction wheels, to stay stable, which is pretty much how satellites do it. But the cubes can rotate and even bounce around while maintaining balance, even if poked or prodded. When the wheels gather enough momentum, all it takes is a braking of the wheel to transfer that momentum to the body of the cube, boosting it up (easier than using a fire extinguisher, no?) Similarly, the cubes can fall in a controlled way, which means that it can essentially walk or bound over the ground. Much like the tumbleweed robot, these cubes can be solar powered and keep all of their parts on the inside, which ought to extend their lifespan. 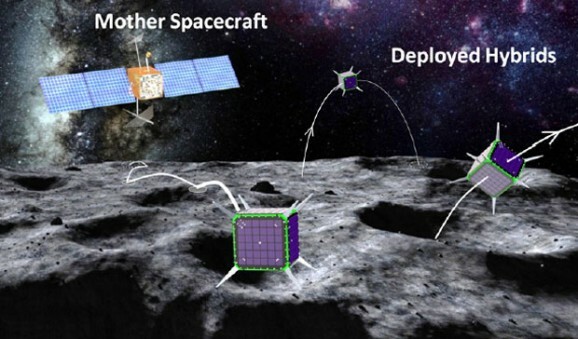 The current funding will see the cubes through Technology Readiness Level 3.5 (proof of concept), and it’ll take a Technology Readiness Level of at least 8 before we see these robots in space. But NASA’s off to a promising start with this one.